VMI is arguably one of the hottest teams in the nation as the Keydets have won ten of their last thirteen games, including three consecutive upsets over Coastal Carolina (66-62), Canisius (111-100) and IUPT-FT Wayne (106-95). VMI’s success is predicated upon an outstanding offense that is averaging 88.9 points per game against teams that would combine to allow 75.8 points per game, thereby making the Keydets 13.1 points per game better than average offensively this season. Moreover, the Keydets are 4-1 in their last five games over which time they are averaging an incredible 91.0 points on 47.1% shooting from the field. Ohio’s defense, which is 3.3 points per game better than average (66.3 point per game to teams that would combine to average 69.6 points per game), is no match for the Keydets’ explosive attack. 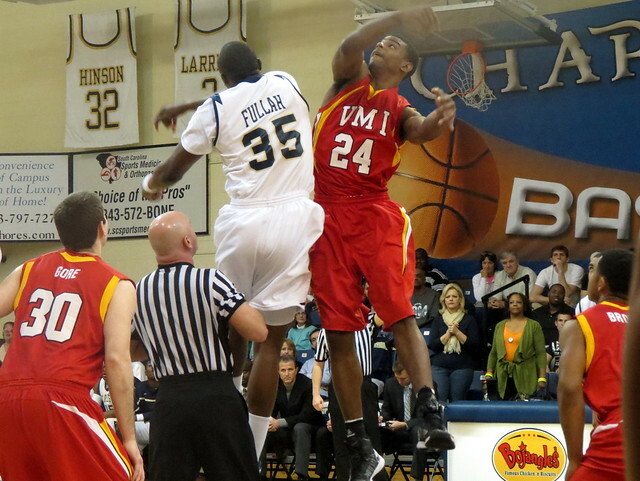 In fact, VMI possesses a significant 9.8 points per game advantage offensively over the Bobcats’ stop unit. The biggest problem for VMI has been a defense that is allowing 82.6 points per game, which is 10.8 points per game worse than average. The good news for the Keydets is the fact that Ohio does not possess an offense that can exploit their weakness at the defensive end of the floor. Specifically, Ohio is just 1.7 points per game better than average offensively (71.0 points per game against teams that would combine to allow 69.3 points per game), but the Bobcats’ attack takes the floor in even worse form. Specifically, Ohio is averaging a mere 67.2 points per game over its last five games so I don’t envision the Bobcats pulling away offensively in this game. With Ohio standing at a money-burning 15-25 ATS following one or more consecutive wins and 8-17 ATS at home when playing its second game on one week, take the Keydets to advance to the College Insider Tournament Semifinals and invest with confidence. Key Statistic: One has to go all the way back to December 30, 2013 (versus Clemson) to find the last time VMI lost a game by more than five points!